Will my friends family share the ashes with me? Our friends often play as important of a role in our ives as our family and sometimes they are our ‘family’. When we lose a close friend, the grief can be overwhelming and finding a way to memorialize them is a necessity. Cremation jewelry is one way of memorializing and it provides a tool for friends that are grieving by giving them an outlet for their grief and a tangible way to honor their friend. Often times the family is willing to part with a small amount of ashes for close family and friends so that they too can share in remembering their loved one. However, in the event that is not an option due to other circumstances, we have highlighted a variety of ways that a friend can be memorialized that are both personal and special. The family has discretion as to whom they share the intimate parts of their loved one with and this typically encompasses family members as well as close friends. However, it is important to remember that the family is grieving and struggling with their loss as well. Be sensitive to their loss and give them the time and space they need. When the time feels appropriate, speak with the family member or members that were closest to your friend about your wishes. This could be the spouse, the parents, the children or a sibling. Explain how much their loved one meant to you and how much it would mean if they could share a small portion of the remains. Be delicate and speak from the heart. What you say and the manner in which you say it is important. Think about it as asking a family member for a part of their loved one. Phrases such as “It would be an honor to have a small part of my friend” or “If there would be any way you could share a small part of someone I loved so much” are a better approach. “Can I have some ashes” or “Do you mind giving me some of those” or direct phrases such as those should never be used. Those types of phrases can come off as abrasive and unfeeling. Respect the final decision of the family either way. The family is doing what they feel is best and if they are not ready or willing to part with some of the ashes, that is their sole discretion. There are other ways in which your friend can be memorialized that are equally special. Why won’t the family share ashes with me? There are various reasons why a family may choose to not share the ashes of a loved one with anyone outside the immediate family. Understanding the reasons behind the family’s decision can help to soothe any hurt feelings and avoid a situation that could impact the future of your relationship with one another. Reason #1 - You were not close enough to the individual. Sharing the ashes of a family member is very personal and the family may be unwilling to share the ashes with anyone that was not immediately close to their loved one. Although you are of the belief that the relationship you shared with their loved one was ‘close’, the family’s perception is what will prevail. The family may feel that only the immediate family members shared that true closeness with their loved one. Realize this is not personal towards you but more the family trying to hold on to and cherish THEIR relationship and how special it was to THEM. Reason #2 - You are not a ‘member’ of the family. Most of us have friends in our life that we consider are family. In fact, in many instances, our friends may be closer to us than some of our family members and be the ones that we lean on, turn to, make our memories with. When it comes to loss, blood lines typically come first and family’s may not want to share the ashes with an ‘outsider’. 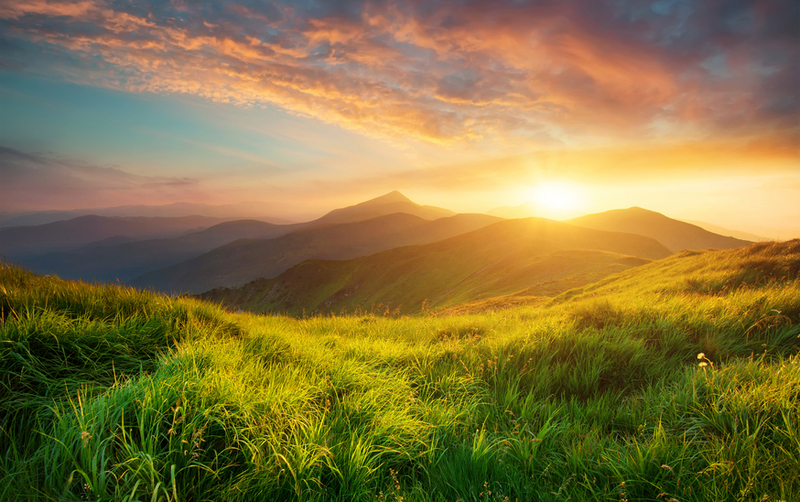 Again, it’s important to realize that with loss comes the tendency to want to hold on to whatever memories or ideas of a relationship and treasure those. And maybe not share with those that aren’t family because maybe, to them, it takes something away from what they are desperately trying to treasure and remember. And it’s not personal to you - it’s personal to the family. Reason #3 - A member of the family has a strong feeling against you. Yet another situation that many of us may have encountered where a member of a friend’s family doesn’t particularly care for us. Maybe they are jealous of the relationship we share with their loved one, maybe it’s simply a personality clash. Whatever the reason, the family member may be against you having any of the ashes of their loved one. Whether it’s right or wrong, the needs and the wishes of the family come first and should be respected. Reason #4 - There is general turmoil with the family. There are instances when loss occurs and the relationships within the family unit are struggling. Maybe it’s a parent and child that haven’t spoken in years, a feud between siblings or simply members of a family that don’t get along. When there is general turmoil within the immediate family, they may choose to share ashes with no one. The ashes may stay with a spouse, the parents, a child and no ashes are distributed amongst family much less close friends. The best approach is to do your best to understand the situation and show support for the family as best you can. So you lost your friend that you loved dearly and you want a way to memorialize them. The family is choosing not to distribute any of the ashes. Now what? How do you go about memorializing them in a way that is still personal and unique to them? Absolutely! 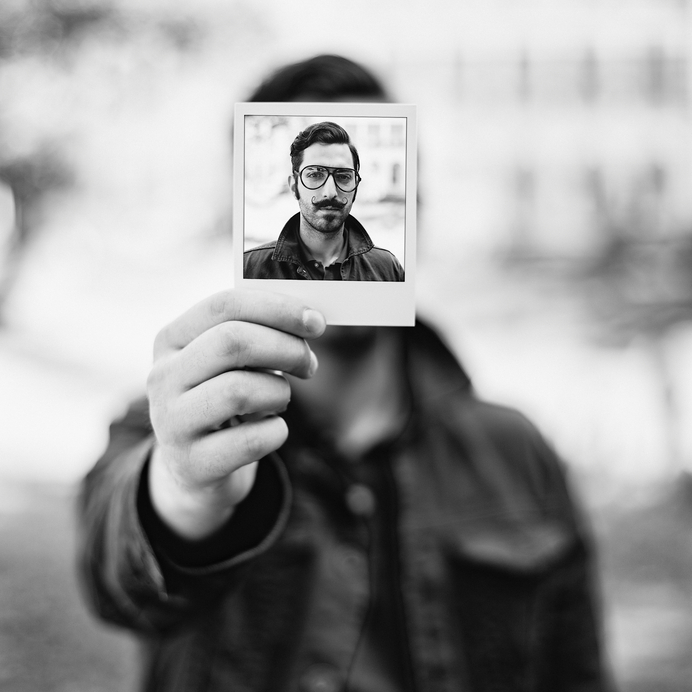 We’ve got some great ideas for ways that you can memorialize a close friend, either with cremation jewelry or in other special and personal ways. Cremation jewelry is not just for cremated ashes. The interior of cremation jewelry can be filled with any personal memory of a loved one that holds special meaning. Did your friend have a particular article of clothing that they loved? A t-shirt they always wore, a pair of jeans, a set of fuzzy socks they left at your house? Cutting off a very small piece of the clothing and inserting it into the interior of the cremation jewelry is perfectly acceptable and provides a personal way to remember them. Also, the family may be more willing to part with a small piece of a t-shirt than some of the ashes. Remembrances from a special place. Did you and your friend always go to a particular beach? Hike on a certain trail? Had a place you hung out at the park? A vacation spot you went to every year for your annual getaway. Maybe the place where they were laid to rest or their ashes were spread. Gather some dirt, sand or ground from that special place and add it to the inside of your keepsake. This helps to not only keep them close but also serves as a reminder of something you did together, a time when you made memories. Make a day out of going to gather the ground and remember the laughter, the love, the good times you shared in this particular place. The pinch of ground will fit securely inside your keepsake as a treasured memory. Pictures that catalog our lives. We all have them - photos that decorate our lives, pictures of our family, our pets and our closest friends. You can choose a favorite photo of you and your friend and burn the photo to reduce it to ashes. The ashes can be added to your keepsake as a personal tribute. Make a copy of the picture if need be and carry with you a reminder of a special moment that was forever captured on film and now is captured inside your cremation jewelry. Depending on the type of cremation jewelry you select, some have enough room to hold a tiny scroll inside the interior compartment - for example, a cylinder pendant. You can write their name, the dates of birth and death or even a phrase that holds particular meaning. Roll the scroll up into a thin tube and insert into the interior of the jewelry. 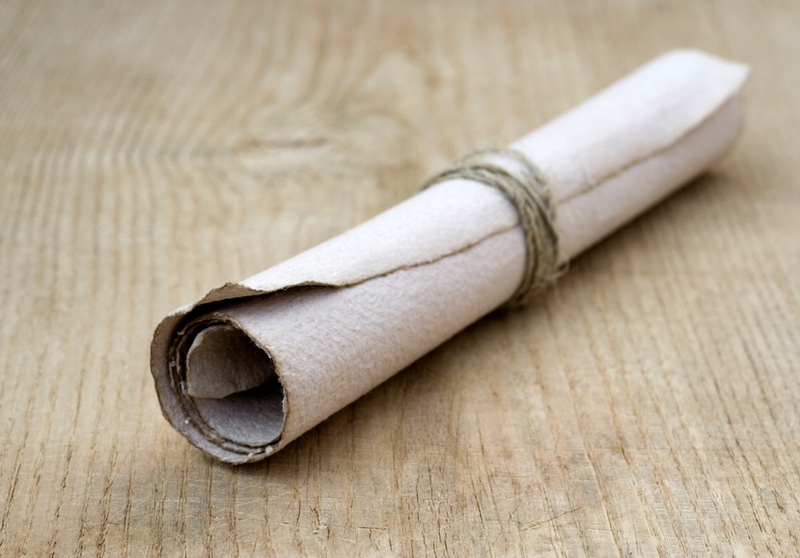 The scroll can be sealed inside and provides a unique and personal way to remember them. Pictures can be engraved onto the front of your keepsake as well. 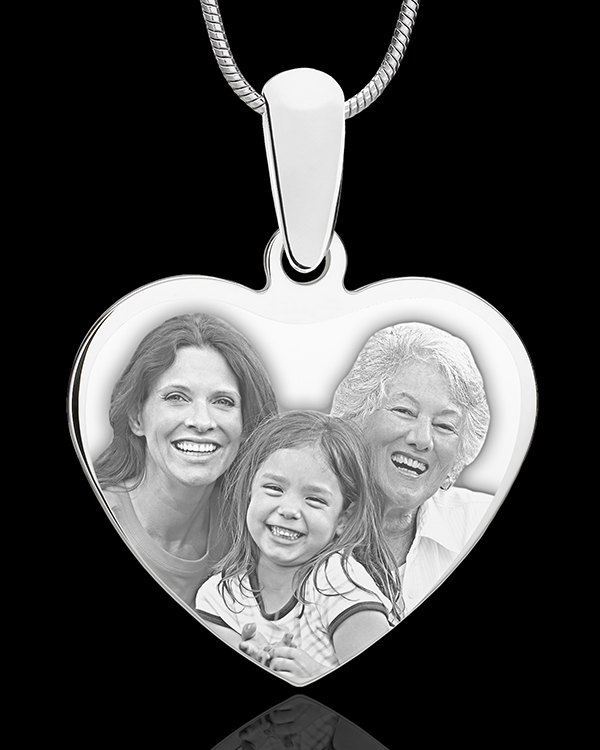 Photo engraved jewelry takes a digital image of personal choosing and engraves it onto the surface of a pendant. A small steel needle makes thousands of tiny indentations onto the flat surface in an exact replica of the initial image. The keepsakes come with and without an internal urn so you can choose what works best for your individual situation - memorialize your friend with just the picture or memorialize them with a picture and an interior tribute. In most cases, the family of the deceased is accommodating to sharing their memories. This may mean giving a close friend a small portion of cremated ashes to add to their memorial jewelry. It could mean sharing a few strand’s of your friend’s hair for the interior of your cremation jewelry or even giving you a small piece of a favorite piece of clothing. Be mindful always that the family is grieving the loss of someone they cherished and use discretion and patience when asking for a memory of their loved one. Also, take your personal feelings out of it should the family decide not to share the ashes or a personal memory of the deceased with anyone outside of immediate family because in most cases, the decision is not personal to you but personal to the family.